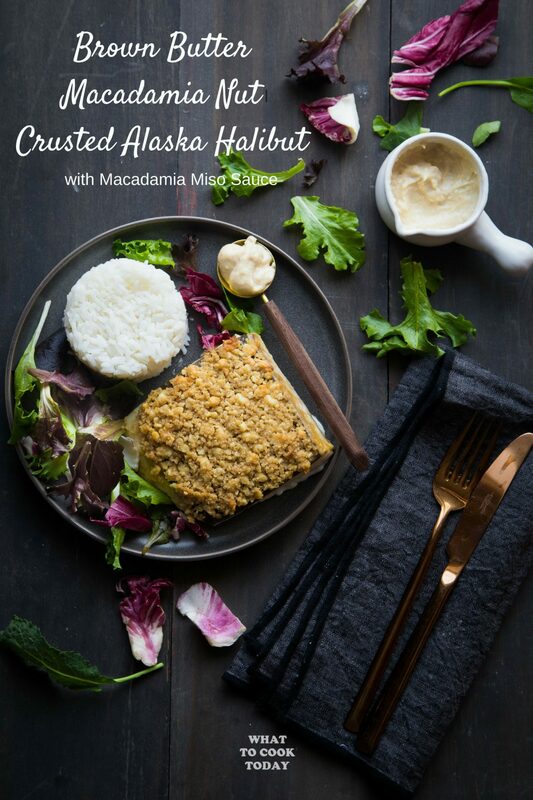 collaboration Easy Asian Dinner Easy Back-to-school Dinners Easy Favorite Recipes Kid's Friendly MEALS IN MINUTES Recipes SEAFOOD U.S.A.
Brown Butter Macadamia Nut Crusted Alaska halibut – Wild-caught high-quality Alaska halibut is crusted with a mixture of ground macadamia nuts and brown butter, baked to perfection, and served with creamy Macadamia Miso sauce. 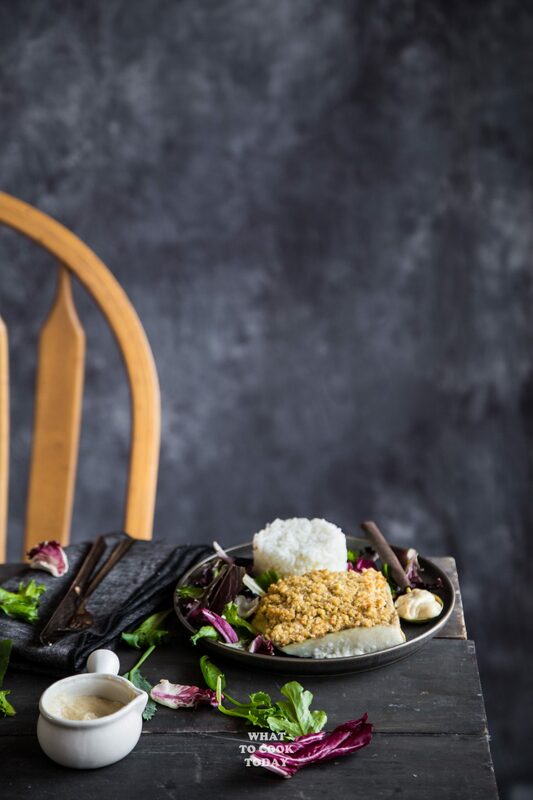 A delicious and easy seafood recipe the whole family can enjoy. My husband and I consider ourselves adventurous when it comes to food. We try to incorporate as many varieties as possible in our meals especially now that we have two young kids on board. We want them to expand their horizons beyond just chicken when it comes to the source of protein. We love seafood and usually incorporate fishes into our meals twice a week. I’m grateful that the kids do enjoy eating fishes too. I’m pretty picky though when it comes to buying fishes. I want to make sure that I get good-quality wild-caught sustainable fishes. I do buy frozen sometimes, but I prefer fresh when it’s available. 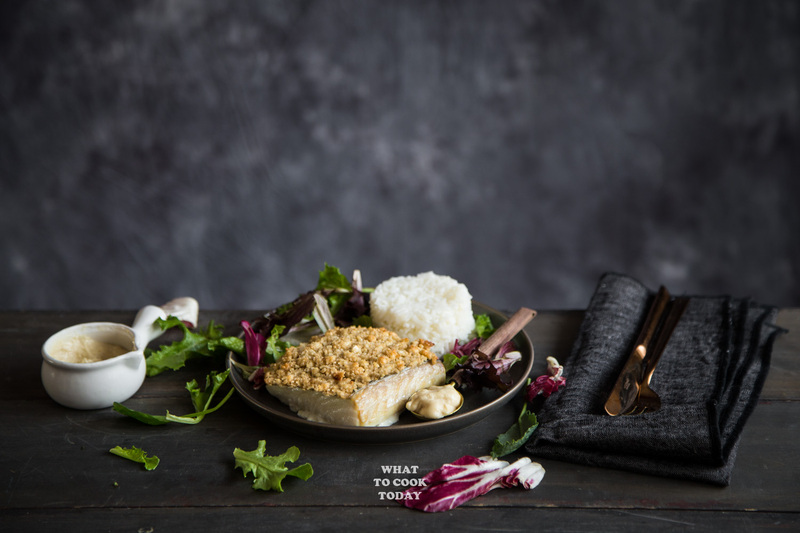 This wild-caught Alaska halibut you see here is one of our family favorites. I asked the fishmonger if the halibut came from Alaska and he confirmed with me that it was. You might ask, why Alaska? Alaska’s cold pristine waters produce high-quality seafood and it contributes to nearly 60% of all seafood harvested in the U.S. Majority of kids do not like to eat fish or any seafood unless they are fried or make into nuggets. 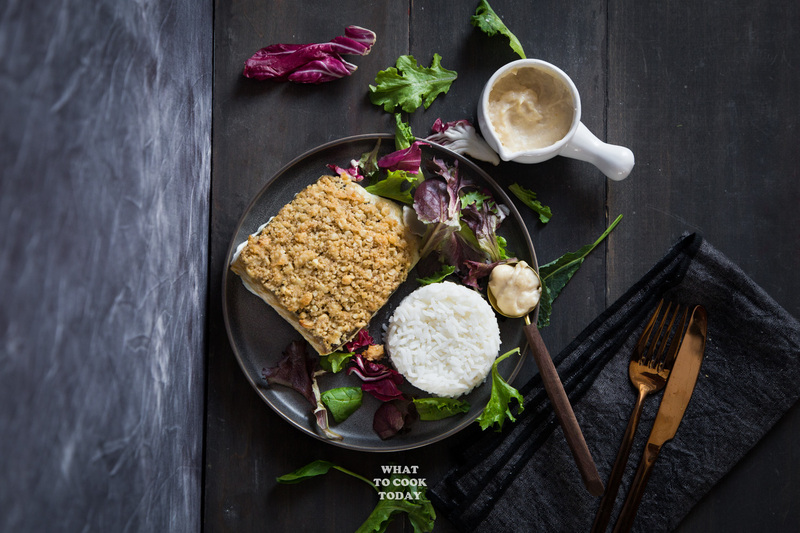 Halibut is one of their favorites because it is mild in taste. This baked Brown Butter Macadamia Nut Crusted Alaska halibut is one of our kids’ favorites. They are soooo delicious with that crispy and nutty crust that kids will love. 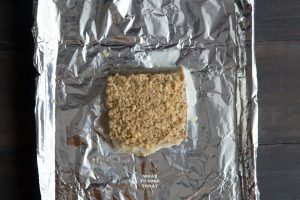 It’s so much healthier to prepare and my kids know that they are actually eating fish and not just something fried. 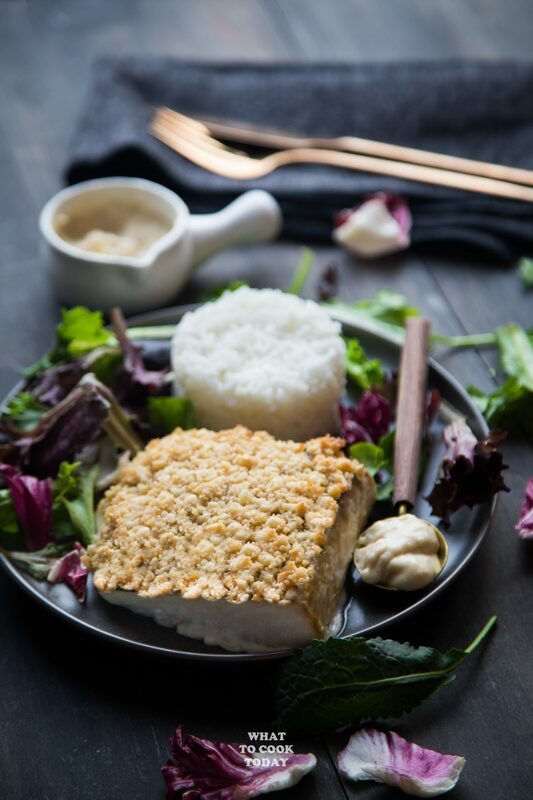 The creamy Macadamia Miso sauce pairs perfectly with the Brown Butter Macadamia Nut Crusted Alaska halibut. I thought I made too much of the sauce, but apparently, I didn’t make enough. The family loved it! Make more…note to self! 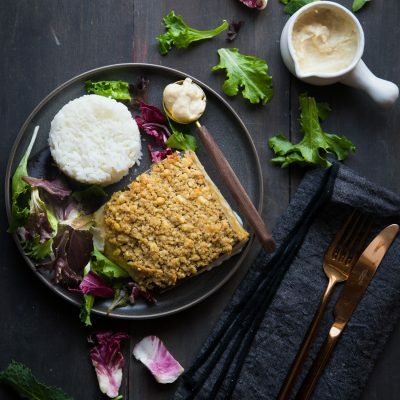 If you are looking into getting your kids to eat more fish or seafood, try this Brown Butter Macadamia Nut Crusted Alaska halibut! You might find them enjoying it! 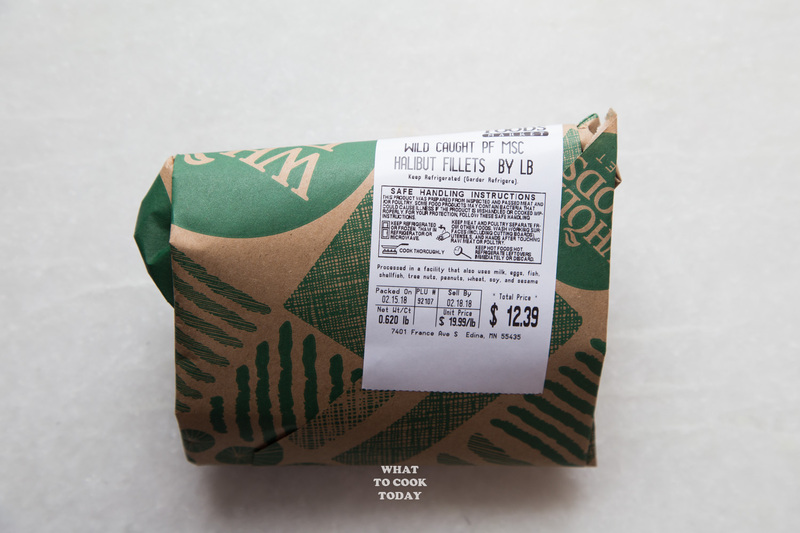 It’s perfect for weeknight dinner or fancy meal to celebrate your special occasions. While you are there, don’t forget to learn why it is important to #AskForAlaska at the seafood counter and when you eat out. 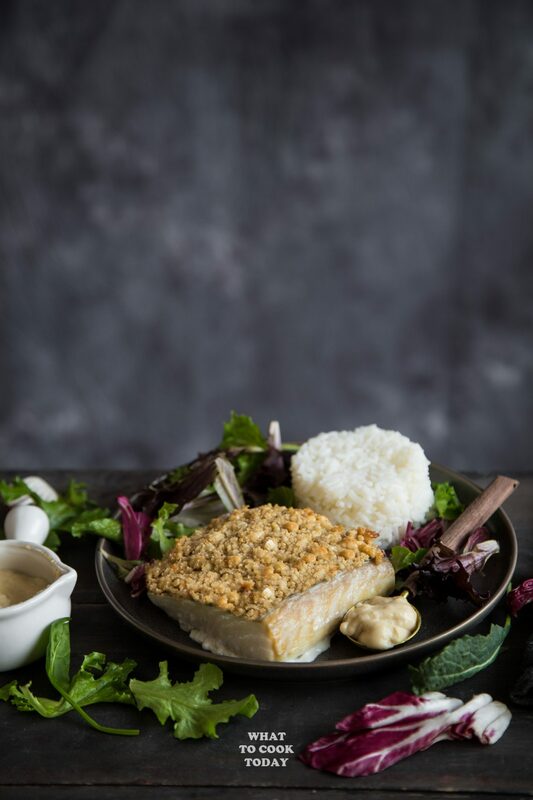 Wild-caught high-quality Alaska halibut is crusted with a mixture of ground macadamia nuts and brown butter, baked to perfection, and served with creamy Macadamia Miso sauce. A delicious and easy seafood recipe the whole family can enjoy. Place all the ingredients for the sauce in a food processor and process into a smooth mixture, don't worry if it's not entirely smooth. 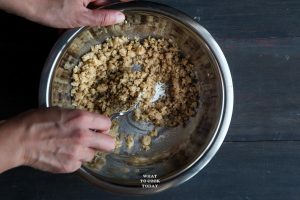 Pour this thick but pourable mixture into a saucepan and cook until slightly thickened and creamy. You can add a bit more heavy cream if you find it too thick. Remove from the heat. What is your favorite Alaska whitefish? 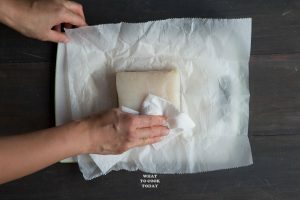 Do you have any amazing recipe to share? Please fill me in!!! Such a beautiful dish, I could eat it right now, Macadamia nuts are sooo good. And I am so sorry to say that my kids are those kids who only eat fish as nuggets, it is the only frozen meal I buy from time to time. They’ve learned to like those in kindergarten and grandma’s house, unfortunately… My daughter used to like fish when she was very small, but as soon as she was old enough to understand that her older brother didn’t like fish, she stopped eating it herself. The same with mushrooms, broccoli and so on. I grew up eating lots of fish as they were cheaper in Malaysia. Sadly, not so anymore. We are surrounded by sea but fish are pricey in Perth compare to beef and chicken. Looking forward to try this soon, they just look awesomely delicious. Thank you Lisa. Yes, seafood is much cheaper in Indonesia too, perhaps because of the cheaper labor there too. Our kids love this dish! Hope you like if you end up trying. Yes…I love Macadamia nuts. Our family is crazy about it. Aww..please don’t feel sorry. I know how tough it is as a mom trying to get your kids to eat more variety and eat what we prepare and what we think better for them! I can’t say my kids aren’t picky too, they can be from time to time. I guess I’m just lucky with the fish 🙂 and keep exposing them to it.